Turning Point Training was established in 2006 by Jonathan and Rosemary Lawrence to provide high quality training courses for practitioners of complementary or conventional medicine. Jonathan had been teaching at Osteopathy College, and for other organisations in the UK including the Royal College of Midwives. He taught a pioneering course in Croatia in1996. He has also presented at a number of international conferences. As an osteopath Jonathan has worked in private practice but also in an NHS GP setting. Jonathan describes the ethos of Turning Point Training as empowering students to attain the highest degree of practitionership by letting go of the fear of failure and seeing the value of helping patients attain health and happiness in a gentle and holistic manner. Courses are mainly held in Marlow, Buckinghamshire, close to London. Other courses have been held in London and the West Country. Jonathan teaches a level 1 foundation course in Craniosacral Therapy as well as a series of level 2 workshops. The foundation course consists of 7 modules taking the student through the basics of craniosacral therapy, the key A&P, technique and building them into a rounded treatment modality. The students are taught in small groups and the varied background of the students allows for an interaction that enriches the experience. The course is designed to be challenging and exciting. The test of the course are the graduates who are now in practice using CST as a primary modality or alongside their own osteopathy, chiropractic, dentistry, homeopathy and sports therapy among others. TPT has been running a Diploma in Homotoxicology in conjunction with the Society of Homotoxicology. This course is a development of the course taught by the late Professor Kirkman; leading figures in this field are involved in teaching on this course including Claire Haresnape, John Andrews, Sue Farrer and Karen Devine. TPT has developed two other advanced courses Homeopathic Mesotherapy and EAV diagnosis. Homeopathic Mesotherapy involves the injection of homeopathic remedies for pain relief and organ support taught By Jonathan and Rosemary. Rosemary teaches EAV (Electroacuopuncture According to Voll) a means of assessing patients to aid in prescribing remedies more effectively. Approximately one in four of the UK population will suffer from an allergy at some point in their lives, according to the British Allergy Foundation and the number of people affected is increasing by five per cent each year. Homeopathy is a form of complementary healthcare that works with our natural healing process and has been successfully used for over 200 years. A combination remedy for typical hay fever symptoms of irritated eyes and nose, sneezing etc, and contains Allium Cepa, Sabadilla and Euphrasia. A combination made using a variety of pollens from plants, trees and various grasses which is often used in conjunction with Hay Fever Combination, on its own, or with any other indicated remedy. Hay fever begins with burning and itching in the palate and conjunctiva. Annoying itching of the roof of the mouth and in the nostrils sometimes with pain at the root of the nose. Initially the nose can discharge clear mucus, which can then turn green and slimy with lots of sneezing. The most characteristic symptom of Natrum Muriaticum is that discharges have the consistency of raw egg white. The catarrh is usually white or clear and watery and can be extremely profuse. There is often repeated violent sneezing – especially in the mornings, a loss of smell or taste, and itching in the nose. The eyes can be watery and the throat can be dry and sore. Hay fever responding to this remedy can often be accompanied by violent, pulsating headaches made much worse by the heat of the sun, or by increased emotional sensitivity. In some cases cold sores can develop around the nose or lips. Symptoms are worse for heat or for lying down, and can improve for cold bathing, at the seashore, or in the open air. Intolerable itching felt on the roof of the mouth and behind the nose, sometimes extending into the throat and ears, strongly suggest the use of this remedy. Everything in the person’s head feels dry and irritated, but the nose may still be runny. The first step to overcome an infection is to assess, test and identify the parasite, fungi or bacteria. A full range of tests is available from Parasite Testing Europe who work with PCI in Arizona. World-renowned parasite expert, Dr Amin, leads PCI and their laboratory offers the widest range and most reliable test kits available. Identify the source of infection - other family members, work etc. It comprises of five steps that are interchangeable depending on the individual needs. The remove phase of the program focuses on removing anything that is increasing the load on the client’s system, e.g. pathogenic bacteria, viruses, fungi, parasites, allergens and toxins, food allergies, processed foods etc. It’s important to note that removing fungus and parasites may NOT always be the first step! This step is to appropriately re-colonize the beneficial bacteria within the digestive tract. This step focuses on direct nutritional support for the structure and function of damaged cellular structure and might include antioxidants, food-based prebiotics etc. This is a very important part of wholistic wellbeing healing and is frequently forgotten. Mental, emotional and spiritual factors and all parts of the ‘whole-self’ approach to wellness are considered. It should be given the attention throughout the entire process of healing. Interested in learning more? Meet the world-renowned professor of parasitology, Dr Omar Amin on 4th July 2015. Dr Omar Amin, of the Parasitology Center Inc. (PCI), Arizona, USA, is coming to the UK in July 2015. He will deliver a series of seminars at the Honourable Artillery Company, London to introduce holistic healthcare practitioners to this topic. Attendance at the workshop in July will enable holistic healthcare practitioners to offer parasite testing from the Parasitology Center Inc., whose highly developed and accurate testing and analysis leads the field. Following the workshop, attendees will be able to order testing kits and offer this service to their clients, potentially opening up a new revenue stream for their business. Book here. Insurance is fabulous, isn’t it? It can give you the confidence to start or grow your business, to branch out into new fields, in the knowledge that you have a safety net, should the unfortunate ever occur. Safe in the knowledge that it will be the Insurance Company, rather than you personally, who will be paying out on any claim. But is that really the case? Do you as a Health and Well-being Professional know what your Insurance will cover you for, or more importantly what it won’t? Do you know how long your Professional Indemnity Insurance policy would continue to operate, if you were to stop working for any reason, or even why this is important? Despite the Financial Conduct Authority (FCA) requirements that Insurance should be ‘clear, fair and not misleading’, it can sometimes be confusing. Good quality Insurance for Health and Well-being Professionals should include Public Liability, Medical Malpractice, Breach of Confidentiality, Financial Loss, Criminal and Tax defence, Loss of Reputation and Products Liability cover, to include both advice, treatments/ activities and any products used – if you don’t have an adequate insurance policy , you could find yourself held financially liable if it were proved that it was your advice, treatment / activities or the products used that were responsible for the clients’ alleged situation. The statute of limitations for injury claims is generally 3 years, although there are a number of exceptions which means this period could be a lot longer, so you will need a policy that can continue to cover you for at least that long, should you stop working for any reason. Insurance operates on the principal of utmost good faith. It is your responsibility when insuring your business that you advise Insurers of any item that may affect their consideration of the risk. If you do not, this may be deemed to be non-disclosure of a material fact, which may affect your ability to claim on the policy. Similarly with all commercial property claims, if you do not cover the full value of your stock or premises, you may be deemed to have under-insured and there will be a proportionate reduction in claims pay outs, even if the value of the claim is lower that the level insured. Insurance can give you the peace of mind to take that extra leap of faith with your business, but it is important to ensure that you get good advice when considering your risk management options for both yourself and your business, so that you know that peace of mind is fully justified. Unusually Tomatis Listening Therapy has received quite a lot of press recently. Norman Doidge MD in his New York Times bestseller The Brain’s Way of Healing - remarkable discoveries from the frontiers of neuroplasticity writes about the work of Alfred Tomatis and its applications in so many areas of life which can be life changing. Tomatis’ work was honoured by the Academy of Science and Medicine in France, so it is baffling that it is still widely unrecognized by so many in the medical profession. In an interview in The Independent with artist Katy Moran earlier this year after her successful New York and London shows, she said of her Tomatis experience, "I recently did Tomatis sound therapy. I did not do it for my art and did not expect it to have any effect on my work. I listened to Mozart and Gregorian chant for two hours every day." She points at a small phonograph on the floor: "I listen to that over and over when I am painting. I used to listen to pop and loads of other stuff and the therapist said it was the musical equivalent of junk food. Nothing has ever affected my work like that before". sufferers of attention deficit disorder, autism, traumatic brain injury, learning disorders, sensory processing disorders, balance problems, epilepsy, speech delay, dyslexia, dyspraxia, depression and those wishing to use it for improved listening skills to achieve higher learning, creative pursuits and learn foreign languages. In short, everyone can benefit from improving one’s listening. Like the good Dr said, “This outstanding function (listening) is innate in mankind, but it is so deeply buried, suffocated, obscured, that it remains unknown to most succeeding generations. It is interesting to note that few are those who manage to acquire it, even though we all are called to benefit from it”. This quote is from his book La nuit uterine ( The uterine night). Ella Williams, Tomatis Listening Therapist and Consultant of 15 years uses the original analogue method to achieve the Tomatis Effect as devised by Dr Alfred Tomatis with no deviations to his work. (The brain doesn’t work in a digital mode). VIVAMAYR opened in 2004 and has since built a reputation as one of the world’s top medical detoxification resorts. Their newest climatic health resort, VIVAMAYR Altaussee, houses 60 comfortable, immaculately designed rooms with breath-taking views. The extraordinary beauty of Altaussee’s grandiose peaks and crystalline waters has been captured in the video - www.vivamayr-altaussee.com/video - but the reviving magic of fresh mountain air, abundant nature and healing thermal spring, best be experienced by visiting Altaussee in person. Altaussee’s new medical director - Dr. Sepp Fegerl - and his team use the purity of Altaussee’s natural environment, local healing thermal water and application of advanced holistic VIVAMAYR medicine to boost immunity. The best examination and diagnostic techniques, including orthomolecular medicine and micro-immune-therapy are used to determine your health requirements and advise on preventive care, therapy and a healthy diet. Healing mineral Spring at ALTAUSSEE! Altaussee combines proven Modern Mayr Medicine with the healing powers of the local mineral rich spring water, supplied by salt mines of the surrounding mountain region. The mineral rich floating pool offers transforming VIVAMAYR Altaussee treatments, including healing Watsu Water Therapy. The beautiful hamam in the spa area is perfect for relaxation. Treatment plans address a wide range of health issues and concerns ranging from stress-related ailments through to fertility issues and diabetes. The treatment of allergies is also a key speciality. Given the strict dietary regime, weight loss is a common and welcome side effect of the VIVAMAYR detox; however the primary focus is always on achieving optimum health. VIVAMAYR ALTAUSSEE is set in a stunning new 11,000 m2 purpose built hotel with a vast medical department spanning 1,450 m2. 60 bedrooms give panoramic views of majestic mountains and alluring Lake Altaussee (bring your swimsuit!). The building is a charming example of the versatility of local wood, natural slate, glass and other local materials. Laid-back luxury furnishings have been carefully selected to reflect the region’s specific features and traditions. VIVAMAYR Maria Wörth opened in 2004 and was set up by Mayr practitioner and physician Dr. Harald Stossier. It quickly established an international reputation and army of devotees. Burn out, allergies, hyper-tension, weight issues and more are treated at this prestigious clinic. Viva doctors offer advanced diagnostic tests - including applied kinesiology, Modern Mayr medicine and pioneering holistic treatments for a full body detox program bespoke to the individual guest. VIVA also offers patients colonic hydrotherapy, hyperthermia treatment and laser-supported weight reduction. Modern Mayr Medicine often achieves sustained therapeutic success where conventional medicine has failed. Now’s the time to book your place for the Edinburgh event, with just 6 weeks to go! The Rayonex system presents a scientific approach that must not be confused with simple frequency generators, EAV technology or radionics. The Rayonex di-pole antennae system is unique. The full potential of Bioresonance According to Paul Schmidt (BaPS) will be evaluated. We will discuss geobiological stress and ever increasing electromagnetic radiation as well as demonstrating energetic regulation of the body for health while incorporating the benefits of Schumann waves. Please join us as we review the latest developments in Bioenergetics. Detecting and regulating parasites, viruses & bacteria. John Doyle is the UK representative for Rayonex and is a qualified engineer and has been following energy medicine with Bioresonance according to Paul Schmidt for 13 years and has worked in the field of natural health for almost 20 years. Thomas Warrior is the Rayonex representative for Scotland. He trained as a naturopath and has over 25 years of experience in holistic health care in Britain. He is the international trainer and biomedical consultant for Rayonex and runs a successful holistic health clinic together with his wife, Dr Katya Karpova, in Findhorn, Scotland. Prices include VAT, lunch, refreshments and handouts. Full details, directions and maps will be sent along with booking confirmation. The first 10 people to book will receive FREE the new 540 page edition of "Bioresonance According to Paul Schmidt" by Prof. Dietmar Heimes (normally retails at £43.70). Hypnotherapy is an intimate, trusting process. A client seeks help with their inner feelings, and personal behaviours, that they find hard to manage on their own, or even to understand. How do you train to meet the client’s needs in this situation? By finding a trainer who meets your needs in the same way. The training programme at HTI has been designed to provide you with the skills you need for the demanding but personally very rewarding work of being a hypnotherapist. You learn the new knowledge and skills from lectures, filmed and live demonstrations with expert teachers, and from supervised practical exercises in the class, with immediate supervision and feedback. You learn to listen by being listened to, and to respond by being responded to. With intensive-appropriate class size, teaching and learning is focused and rapid. Students often say that the time has flown past, and they are amazed that the teaching continues intensively right up to the course end - every moment counts. A large majority of the teaching is personally conducted by the headline trainer and training programme designer, the well-known Dr. John Butler. In his long career as a hypnotherapist and international trainer, he has gained extensive experience in a wide range of hypnotherapy methods, including using hypnotherapy for habit change, for personal transformation and development at a deep level, and for wellness and medical applications. All About Natural Medicine organises CPD (continual Professional Development) seminars and workshops with experienced lecturers from the world of complementary medicine. Our aim is to provide health practitioners with practical knowledge and tools that you can use in your daily practice straight away. Whether you are an herbalist, naturopath, nutritional therapist, acupuncturist, osteopath, etc., our teachers will inspire and empower you with new techniques and treatments. All About Natural Medicine started 8 years ago with workshops on Chinese Face-Reading and Tongue Diagnosis. Since then we have expanded to teach regular classes in pulse diagnosis, TCM nutrition, modern and naturopathic iridology, herbal medicine and nutritional therapy, and our very popular Master Tung acupuncture workshops. Our speakers are leaders in their field with years of teaching experience. Our yearly ’detox and fasting’ seminar continues to attract a wide range of therapists, some returning to repeat from the year before! This autumn we have a busy program planned. Daverick Leggett will return to repeat his popular ‘Foundations of Traditional Chinese Medicine’ workshop, suitable for practitioners with no knowledge of TCM but wanting to incorporate some of the wisdom of ‘energetic’ nutrition in their practice. We also have a new day on Qigong by popular demand. Philip Weeks will return to teach ‘Master Tung Acupuncture’, a system of acupuncture which brings excellent results for the patients. These workshops are very practical – we divide you into small groups with experienced practitioners to guide you. Philip will also teach a new workshop on Cupping & Gua Sha, two highly effective techniques for acupuncturists and TCM Practitioners, and bodyworkers. John Andrews will teach us ‘Natural Solutions with Chronobiology’ and ‘Natural Solutions for the Hormone System’. If you are a nutritional therapist we guarantee you will find John’s lecture on nutrient timing full of useful information and research. Barbara Wren will return to teach her ‘cellular awakening’ seminar based on her book of the same name. Barbara has been teaching for almost 30 years and her workshop marries the old and the new, explaining dehydration at the cellular level and what we can do about it. Look at for new workshops and seminars at www.allaboutnaturalmedicine.com . We’ll be adding to our program throughout the year! I am shortly to retire from doing experiential workshops and seminars that I have given for over 40 years. Although I am a very young <grin> 68 year old, the spinal arthritis that I have battled with for many years has taken its toll. So for ‘John Cross Clinics and Publications’, read just ‘John Cross Publications’. I love writing almost as much as teaching, in that it is always a thrill for me to receive emails from grateful practitioners who have read my books - some of whom have totally changed their way of practice because of them. I have even had a web site dedicated to my work with the chakra energy system. I am very proud to have pioneered systems of both traditional acupuncture and reflexology, both of which are based on Ayurvedic medicine. I was first published 15 years ago by Butterworth Heinemann with two books on the practice of acupressure - the first with musculo-skeletal conditions and the second with medical conditions. I then went over the pond with North Atlantic Books of Berkeley, California with my two best sellers in healing with the chakra energy system, with acupressure and reflexology as well as acupuncture. In 2008 I joined the masochist set and formed my own company, writing a short book on Reflected Energy Pathways. This was taken on board by Lotus Publishing who updated the layout and gave it the clout that I couldn’t. I still have half a dozen of the original spiral bound copies left. Lotus asked me to write a tome called The Concise Book of Acupoints. I then self-published through Author House one on Light Touch Reflextherapy, before writing a short electronic book on the combination of acupressure and homoeopathy in acute conditions. I have also published 3 large colour posters in Healing with the Chakra Energy System, Light Touch Reflextherapy and The Holistic Spine. So following my published 8 books, what of the future? I am presently writing one on Therapeutic Dowsing, that shows how one may use a pendulum and the fingers to find the hidden causes of disease. This will be another electronic book through Kindle - I feel that this is the future of publishing even though I personally prefer hard copies. This will be followed by an exposition on Distance Healing - My Way. I have done distance healing for many years and run several workshops in the subject - a very rewarding side of my practice. I shall then, finally, put into print 3 booklets on the Holistic Spine that will be accompanied by a CD Rom of the same name. I don’t think I shall be bored!!! Sarah Williams is a healer, international teacher, spiritual channel and medical intuitive Since 1995 she has worked with 18 chakras, vibrational healing tools and psychoneuroimmunology, dissolving energy blockages within the body facilitating natural healing. Dec 21st 2012 was a pivotal point for Earth and all who live aboard her! We are shifting from the 3rd to the 5th Dimension, a natural cycle from Divine Masculine fear-based consciousness to a new 13000 year cycle of Divine Feminine and unconditional love. We are receiving upgrades to our DNA via the solar flare activity from our sun, changing the mitochondria in our cells, upgrading from 2-12 strand, as we were at the time of the Golden Age of Atlantis. This can be a little uncomfortable as we release old clutter and fear from our cellular structures, so here are things we can do to make life easier. You can care for your pineal portal (third eye chakra) by choosing good nutrition, exercise, meditation, adequate sleep, stress management and time under the Sun and Moon. Sudden eating/food changes; difficulty digesting all foods, inability to drink alcohol, take drugs, etc. ; hair falling out, nails breaking, not growing; profound physical, emotional, and mental exhaustion; restlessness; body weakness, lethargy, aches. Meditation Exercise: Visualize 3 balls of purest white light, one at your third eye (between eye-brows), one at the back of your head ( alta major chakra) and also one over your heart. When you breathe IN through your Third Eye, you pull in the cosmic Light to the alta major chakra, OUT…then breathe IN through the alta major and down to the heart chakra OUT…then to complete the cycle IN from the heart pulling in the Light and up to the third eye OUT. This infuses white light through those 3 areas which is hugely powerful in balancing your serotonin levels, DMT and melatonin levels. This exercise courses multi-dimensional light and unconditional love throughout your body, which can counter-balance the excess electrical stimulation at the Pineal with a feeling of calmness, peace and love. I am delighted to report the publication of a collection of spiritually evocative poems composed by men and women dedicated to living the contemplative life whilst dwelling in the secular world. This album of spiritual and mystical poetry was created by men and women living the contemplative life whilst dwelling in the secular world. Each poem on the album is read by its author, with musical arrangement provided by Juan Jose Lopez at the Utopia Studio in the UK. The album was primarily conceived as a means of sharing with people the intimacy of the spiritual life, and to raise funds for this project called The Oratio Project. The Oratio Project began in March 2014. The objective of the project is to establish a monastic settlement here in the UK, based upon the patterns set by the ancient British Church, where men and women interested in the contemplative life can gather together to spend time in the silence, and to engage in spiritual discourse. Thereby following the example set by the monastic communities established in the Levantine deserts from the late third century onward; followed with great enthusiasm by the ancient British Church before the collapse of Romano-British society in the fifth century. The spiritual heart of the project is the inner temple of the soul; an invisible temple wherein the soul enters into the presence of the Divine. This inner temple will be reflected in the physical form of this project, a simple construction wherein people can join in prayer and meditation, and group activities - discussion, seminars, study etc. Sleeping accommodation in the form of small cells will be located around the walls outside of the compound. It is our intention to erect this building using low-tech, low-impact straw-bale technology, resulting in an organic structure that harmonizes with the environment and minimizes the energy used and carbon dioxide generated in its construction. This low-tech approach will significantly reduce the amount of energy required to construct the building, and, due to the insulating properties of materials used, will save energy and minimize carbon dioxide in heating and cooling. Energy will be generated via solar panels for hot water and electricity. Published by Findhorn Press. 2015. Softback. £11.99. ISBN: 978-1-84409-662-6. A compassionate, professional look at Alzheimer’s disease and other dementias, offering invaluable practical insights into care as well as spiritual dimensions of the disease, offering new insights into areas that not explored in other books on the subject. Soul-searing, life-testing situations have what some call ‘fall-out blessings’. The book is about understanding some of the deeper lessons we are exposed to through caring for individuals with Alzheimer’s and other types of dementia. We all want a cure. But in the meantime, while this illness is still with us, how can we create a quality of life for each person in each stage of the disease? How can we look deeper into situations that, at first glance, look hopeless and destructive in order to find opportunities for insight, inspiration, and great understanding of ourselves and those we love? How can we allow the full measure of the experience to unfold and be felt with as much of ourselves as we can bring to bear? This book will help people caring for those going through the difficult dementia journey find a way, through the tumultuous waves, to remain awake and open to the blessing of a journey that opens the heart, nurtures compassion, and ultimately enables each of us to be better human beings. It is also for those brave individuals living with memory loss illnesses, so that they be supported and allowed to live their experience fully in their own unique way; to express themselves, to love and be loved, and to be sheltered from harm. Coming from a rich professional background in caring, Megan Carnarius clearly outlines the different stages of dementia and highlights many practical aspects of dementia care, suggesting accessible tools for family and professionals alike. She also addresses the more subtle, spiritual dimensions of this illness with much compassion and understanding, offering new insights into areas that have not been explored in other books on the disease. Alzheimer’s specialist Megan Carnarius RN is known for her warm human touch in working with people with dementia and their loved ones. Trained in Europe and the United States, she has international perspective and 25 years’ experience in designing and running memory care settings. She began consulting in memory care design in 1996 and continues to help owners build designs as well as program and operational development. Megan, who also served on the Alzheimer’s education committee for 15 years is a sought-after family consultant, professional trainer, and lecturer. Published by Lotus Publishing. 2014. Paperback. £20.99 / $19.99. ISBN-10: 0989653943. Rather than being 'what you eat', author and biomechanist Katy Bowman, shows us through this ground-breaking book, we are, in fact, 'how we move'. Move Your DNA, explains our deep need for movement – right down to the cellular level. Are standing workstations helpful or harmful? What's the safest way to move toward minimal shoes? Are core exercises solving problems or creating them? Do we really need cardio exercise? Does DNA predetermine our health as much as we are led to believe? The flopped-over fin of captive orca whales has alerted us to ‘diseases of captivity’, and so should the long list of ailments we've come to accept as normal in our own bodies. Not all health issues are brought about by ageing, poor genes, or imperfect diets. Many are triggered by our mechanical environment, and how we have moved (or haven't) over a lifetime. A best-seller in the USA, Move Your DNA, is now also available to UK audiences looking to improve their health and wellbeing. Bowman uses the book to lay out a movement and lifestyle program accessible to everyone from the most sedentary to professional athletes. Humorous, fascinating, and science-based, Move Your DNA is the start of a human movement revolution. A trained biomechanist Bowman has worked with numerous people to reduce chronic pain, increase bone density and improve metabolic health through movement and proper alignment. Bowman's ground-breaking work in pelvic floor restoration has made her particularly popular with midwives, OBGYNs and others concerned with pelvic mobility, strength and health. She has written numerous books including very Woman’s Guide to Foot Pain Relief: The New Science of Healthy Feet (2011), and Alignment Matters (2013), both of which have been critically acclaimed and translated worldwide, as well as an award-winning blog: www.KatySays.com . Lotus Publishing has been publishing high-quality paperback books for over ten years. Founded in 2003 by Jonathan Hutchings and author Chris Jarmey, Lotus has an international presence due to an excellent relationship with North Atlantic Books (www.northatlanticbooks.com co-publisher in the USA, and are distributed in North America, Canada, Australia, New Zealand and South Africa by the Random House Group www.randomhouse.com. Spirulina is a blue green algae which occurs naturally in fresh water, including rivers, lakes and tropical springs. The algae can be harvested and dried to produce a nutritional powder that is taken as a supplement. Whilst most people take spirulina due to its high content of various nutrients, there has been some interesting studies carried out which conclude it could have serious benefits for those who like to work out. In one study participants took either a placebo or a few grams of spirulina each day for four weeks. Following this period the participants were asked to run on treadmill at a moderate pace for two hours, before running at their maximum effort until exhaustion. Time to exhaustion during the fast run was significantly increased after spirulina supplementation, with participants able to run for just over 2 minutes, on average, in the placebo group, but 2 minutes 42 in the spirulina group. Furthermore spirulina supplementation seemed to shift the way the body produced energy, which may explain people’s ability to run longer. In those who had been taking spirulina people’s bodies burned more fat as a fuel, with carbohydrate use dropping by just over 10%, and fat burning increasing by nearly 11% during the two hour run. Another study also found that after taking spirulina, running time on a treadmill, until exhaustion, was increased and biomarkers of muscle stress in the blood were reduced, indicating that the natural supplement has an ability to reduce muscle damage occurring during exercise and therefore prolong running time. BodyMe are a leading natural super food company and produce a range of high quality organic spirulina products. Cultivated in natural fresh water ponds in a clean and fresh open-air environment, after purity filtering their algae is dried to produce the finest quality organic spirulina powder. Available as a straight powder, which can be added to juice, water or smoothies, BodyMe spirulina is also available in tablet form (formed without binders by simply pressure pressing powder into tablets) or plant based capsules. 2. Kalafati M1, Jamurtas AZ, Nikolaidis MG, Paschalis V, Theodorou AA, Sakellariou GK, Koutedakis Y, Kouretas D. Ergogenic and antioxidant effects of spirulina supplementation in humans. Med Sci Sports Exerc. 42(1):142-51. doi:10.1249/MSS.0b013e3181ac7a45. Jan 2010. 3. Lu HK1, Hsieh CC, Hsu JJ, Yang YK, Chou HN. Preventive effects of Spirulina platensis on skeletal muscle damage under exercise-induced oxidative stress. Eur J Appl Physiol. 98(2):220-6. Sep 2006. Epub Aug 30 2006. Anne McIntyre will be running four deeply insightful courses on the fundamentals of Ayurveda, the traditional healing system of India. Ayurveda offers a truly inspiring and practical approach to enhancing health, happiness and longevity. During the weekends we will explore the archetypal elements that create our different constitutions, allowing us to create a better understanding of our own nature and helping us to choose the right diet, lifestyle and herbs to keep us well and return us to balance when unwell. The course will run over four weekends at Anne's home and garden in the beautiful Cotswolds. Each workshop will incorporate experiential learning with herb identification, foraging, medicine making, herb tastings, meditations, recipes and more! The course is open to anyone, especially those interested in healthy living, yoga, meditation, Vedic traditions and other health practices. No prior knowledge is needed and we recommend that you do all four weekends, but you can just do one. We are sure once you start you will want to continue! Each weekend costs £150 which includes lunch and refreshments for both days. The cost for all four weekends is £550. These workshops are running in conjunction with Living Wisdom: The Foundations of Ayurveda Online Course, to help those studying gain a more practical and experiential approach to Ayurveda, plus there will be lots of time for questions! You can learn more about the online course at www.learnlivingayurveda.com . Looking at some incredible herbs to keep our constitutions in balance. Published by Rodale Books. 2014. Hardback. £17.36 / $21.60. ISBN-10: 162336275X. - Andrew Weil, MD, Founder and Director Arizona Center for Integrative Medicin. Over 50 million people suffer with severe chronic pain and another 38 million people suffer with depression, generalized anxiety disorder and PTSD in the United States. Chronic pain comes in many forms - fibromyalgia, low back pain, neck pain, peripheral neuropathies, arthritis, and headaches. Lower back pain and arthritis are the two leading causes of disability in the U.S., affecting over 16 million people. Beyond suffering, the cost of chronic pain to the U.S. economy is over half a trillion dollars a year. In Total Recovery Dr Kaplan reveals riveting patient stories, including those of a former high-school line-backer, a teenage snowboarder, a 23-year old runner, a congressional aide to a high-powered consultant, and many more, with a single common theme: chronic pain and/or depression that had impacted not only their quality of life, but their ability to function at work, at school, or in day-to-day life. In the book, he explains that each chronic pain sufferer has a history, a ‘story’, with clues that can lead to treatment of their underlying problem and - ultimately - a resolution. Dr Gary Kaplan DO, a pioneer of integrative medicine, is one of just 19 physicians board certified in both family medicine and pain medicine and practices in McLean, VA. A clinical associate professor at Georgetown University and director of the Kaplan Center for Integrative Medicine, he has also served as a consultant to the NIH and, in October 2013, was appointed to the Chronic Fatigue Syndrome Advisory Committee at Health and Human Services. He has discussed his work on Good Morning America, NPR, NBC News, as well as in The New York Times, The Washington Post and the Wall Street Journal. He resides in Falls Church, VA. Published by Palgrave MacMillan. 2014. Paperback. £19.99. $32.00. ISBN 9781137415233. Great Ways to Learn Anatomy and Physiology is an ideal study companion for anyone grappling with anatomy and physiology, offering a wide variety of innovative techniques that will aid learning. Educational consultant and trainer Charmaine McKissock was inspired to write the book based on her own experiences of finding practical methods to overcome the challenges of learning anatomy and physiology. She brings complex processes to life with imaginative diagrams and storylines that develop understanding, reinforce memory and support students of all abilities. This second edition brings in a range of fully updated features such as colour-coded flow charts and other imaginative visual techniques for revising emergency first aid procedures, all of which are in line with current protocol. Further brand new content to this edition includes mindfulness approaches and techniques in order to help students manage exam nerves and reduce stress during the learning process. In summary, this book offers a refreshing and effective approach to learning the basics of anatomy and physiology: it’s down to earth, easy to use and enjoyable, with engaging illustrations throughout. Charmaine McKissock has contributed widely to the understanding of adult dyslexia and other learning differences. She has worked in college, university, health and community settings. She currently practises as a consultant, trainer, writer and illustrator. Paris in springtime - learn to use the Acmos Lecher Antenna to communicate with the body; find out the origin of current symptoms and bring the body back into balance so that your clients are better prepared to face the stresses of life. This course constitutes Parts 1 & 2 of the Acmos Method Practitioner training. Special offer for Positive Health Readers: save £100 on our next seminar, which runs from 19-23 May. Quote PH100 on your application form to take advantage of this offer. Valid until 19 May 2015. The 15th Plymouth Obesity, Diabetes and Metabolic Syndrome Symposium, will take place at Plymouth Postgraduate Medical Centre on 21 May. Entitled New Ideas and Controversies in Obesity, the event will bring together a stellar panel of experts from research institutions and the NHS across the UK. The symposium will show the latest thinking in a number of areas related to obesity, including surgical solutions, whether obesity is a psychological disorder; the relationship between bile acids and incretins (metabolic hormones that stimulate a decrease in blood glucose levels). National Allergy Week takes place from 20-26 April 2015, with its aim to get people talking about the issues that those who suffer from allergies face. Hay fever tops the nation’s allergy conditions. Bee ready and make the most of the summer early. 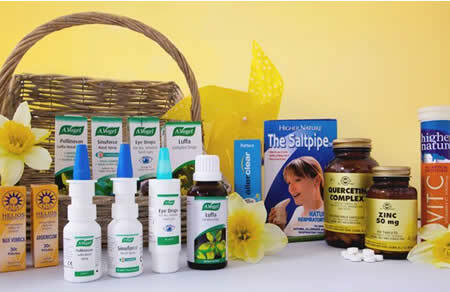 Nelsons Pollena contains a unique selection of homeopathic remedies, specifically combined to bring gentle and soothing relief for distressing symptoms of hay fever. It is non-drowsy and suitable for all the family. Is It Safe to Detox and Exercise at the Same Time? While a detox should not negatively affect your energy levels when carried out properly, if you are a naturally very active person, you may need to put some extra planning into your detox, in order to make sure you are working out at a safe level and getting the fuel you need to maintain an active lifestyle. Ilona Wesle, Nutritionist at MyDetoxDiet.co.uk gives advice on how to adjust your diet and activity levels to ensure you get the best of both worlds during your detox program. The Great Plains Laboratory is excited to announce their recently developed phospholipase A2 (PLA2) test, which measure the activity of PLA2 urine. PLA2 is elevated in a wide range of inflammation-related disorders and is considered a good marker for increased risk of developing or worsening of inflammatory conditions. Doctor’s Data now included Calprotecin as an inflammatory marker in their Comprehensive Stool Analysis profiles. Both tests are available through BioLab. At a recent conference, the inaugural Active Working Summit, academics, researchers and industrial partners were liaising in an effort to promote the importance of active working. On 24 April, a national campaign hosted On Your Feet Britain, a day dedicated to getting people out of their chairs and becoming more active in the workplace. Some of the ideas are, small group walking meetings, standing meetings, using printers / photocopiers at the end of the corridor or on another floor. The College of Naturopathic Medicine’s newsletter introduces new CNM Graduate Janet Wrathall and gives information about CNM Diploma courses. There is an article about why increasing numbers of people are deciding to opt out of vaccination and discussions will be held at the CNM London on 21 May on Vaccination & Travel Medicine and at the CNM Edinburgh, 22 October on Vaccination - The Question. The CNM Training Concept has free entrance in Belfast, London, Edinburgh, Manchester, Brighton, Bristol and Birmingham. A new study has highlighted the huge potential of rosehips to help with weight loss. The easiest way to include rosehip extract is your diet is with Phytacol’s two rosehip syrups in the in Belle+ range, both containing Rosehip seed extract, one fortified with iron, the other with vitamin D. Both can be taken on their own, a teaspoon or two a day is recommended, or added to smoothies. Vegfest UK Bristol 2015, takes place on 23-24 May. Highlights of the show include: 150 stalls, 15 specialist vegan caterers from around the world, 4 all day licensed bars, nutrition and health talks, campaigns and lifestyle talks, cookery demonstrations, children’s cooker classes and entertainment, LifeWell Hub, vegan activist workshops, performance stage all day with acoustic act in the day and live DJs in the evening, including Alfredo (Saturday) and LTJ Bukem (Sunday) and 3 large marquees for stalls and gazebo pitches. The Four Gates now has a new, bigger and brighter website, with more free material, links to interviews, articles, participant feedback on course, details of workshops and trips. There are workshops on the Holy Children of Velada, Shamanic Healing and Soul Retrieval diploma course in Spain, The Cactus of Mystery workshop in Spain and Power Plants of Peru, in Peru. Sibberi is an all-new natural food brand which is shaking up the alternative water with their natural, unsweetened birch water. Containing only pure birch sap, collected drop by drop, from mature silver birch trees, Sibberi is an ideal choice for a revitalizing and cleansing pick-me-up. Birch water has long been favoured across Nordic folk cultures as a spring tonic, to rejuvenate the body and soul after a long, harsh winter. Birch water tastes a little sweet, from naturally occurring xylitol and beautifully crisp, with a delightful aftertaste of the forest. A rare and prized ingredient, birch sap can only be harvested during the first two weeks of April. The OM Yoga Show, on 15-17 May 2015, is a unique weekend, providing visitors with the chance to fully immerse themselves in a yogic paradise for three days. Learn from world famous Yoga Teachers from all over the world. The huge range of Yoga styles on offer, means everyone will be able to find something to suit them. Alongside the more traditional types of Yoga on offer, there will be plenty of chances to try something a little more out of the ordinary. One workshop will explore Yoga and drawing, while another Laughter Yoga always draws a crowd. Excilor®’s unique TransActive technology is clinically proven to deeply penetrate the nail bed within minutes; the technology uses acetic acid which rapidly reduces the nail’s pH and in return changes the nail’s environment, making it more hostile for fungi to grow. Excilor® is also enriched with nails lipids and biotin for supportive nail care during treatment, helping to rebuild damaged nail structure and provide a long lasting barrier against future fungal infections. Udi’s Gluten Free has confirmed that it will return as headline sponsor of The Allergy and Free From Show, Europe’s largest event for families living with allergies and intolerances. Udi’s is the number one selling gluten-free brand in the USA and Canada and has seen an incredible response from UK retailers and consumers since its launch in October 2013. Udi’s bring a great deal of fun, colour and flavour to the event and are a big favourite amongst the visitors to the show, taking place in London this July. Dr David Beales and colleague Alex have put together a YouTube video on mindful breathing to restore calm in the face of unwanted challenge. This explains the three steps to reduce falling carbon dioxide levels which fall an hour before the onset of a panic attack. We know from the research of Alicia Meuret that Panic Attack Disorder is triggered by reduced carbon dioxide levels (CO2) and is treated successfully by raising the levels. Distasteful though it sounds, the transplantation of faecal matter is more successful for treating Clostridium difficile infections than previously thought. The research, published in Microbiome, reveals that healthy changes to a patient’s microbiome are sustained for up to 21 weeks after transplant, which has implications for the regulation of treatment. Michael Sadowsky and colleagues at the University of Minnesota collected faecal samples from four patients before and after their faecal transplants. Three patients received freshly prepared microbiota from faecal transplants; one patient received faecal microbiota that had previously been frozen. All received faecal microbiota from the same pre-qualified donor. The American Institute for Cancer Research (AICR) released the Continuous Update Project (CUP) report Diet, Nutrition, Physical Activity and Liver Cancer in the US. For the first time, the World cancer Research Fund (WCRF) International CUP report, in partnership with AICR, found that coffee consumption decreases the risk of this cancer. The report also found that excess body fat increases risk of liver cancer, and quantified the amount of alcohol, three drinks, at which risk of this cancer rises. The findings make liver cancer the tenth cancer type caused by overweight and obesity. You do not have to be a prima ballerina in order to benefit from physical flexibility and mobility. Nutrabiotics’ unique combination of natural high quality nutrients contribute to collagen formation and the normal function and maintenance of bone. It further aids stiff joints and supports them from the wear and tear of everyday life. Each capsule contains 100% natural ingredients and includes Glucosamine Hydrochloride, Chondroitin Sulphate, Vitamin C (as ascorbate) and Zinc Sulphate (as heptahydrate). For people infected with the human papilloma virus (HPV), the likelihood of clearing the infection and avoiding HPV-related cancer, may depend less on the body’s disease-fighting arsenal than has been generally assumed. A new study finds that the body’s ability to defeat the virus may be largely due to unpredictable division patterns in HPV-infected stem cells, rather than the strength of the person’s immune response. Are you constantly looking at emails, scanning Facebook, Twitter and Instagram? Today’s busy lifestyles and numerous communication channels, mean we’re always flitting from one thing to another. Neil Shah of the Stress Management Society, has tips on how to keep on track of your juggling while remaining calm and focussed. Wake up and breathe; deep breathing works wonders on relaxing your mind, take a 5 minute holiday, a simple visualization technique, practice progressive muscle relaxation, do something you love every day, spend time along, listen to music, switch off your technology one hour before going to bed and end the day with a one minute meditation. When your days seems a little too much to handle, stop and take a moment with RESCUE® by your side. A Fearless Heart: Why Compassion is the Key to Greater Wellbeing by Thupten Jinpa looks at compassion. In 1979, Jon Kabat-Zinn popularised the Buddhist practice of mindfulness when he revealed that it could alleviate depression. Compassion is the overlooked key to achieving our goals, yet many of us resist it, worrying that if we are too compassionate with others, we will be taken advantage of and if we are too compassionate with ourselves, we won’t achieve our goals in life. We can actually fear compassion. Thupten Jinpa is a former monk and holds a PhD from Cambridge University. A diet high in whole grains and cereal fibres is associated with a reduced risk of premature death, according to research published in the open access journal BMC Medicine. The results also show cereal fibres to be associated with reduced risk of deaths in varying degrees for chronic diseases, including cancer, heart disease, respiratory disease and diabetes. As this is an observational study, it is not possible to confirm that whole grains and fibre are causing this reduced risk, but the team believes the cereal fibre found in both food types, cereal fibre and whole grains, may have protective effects, thank to multiple protective properties such as anti-inflammation. ProVen Probitics recognize the importance of breastfeeding babies. New research has shown that breastfed babies are more likely to turn into well-educated and higher-earning adults according to a long-term study in Brazil. ProVen also conducted a study using their LAB4 ProVen Baby Probiotic for breast fed babies, to look at the relationship between breastfeeding, probiotics and allergies in infant and adult life. The Swansea Baby study, of over 400 babies carried out over 5 years, discovered that the babies given the LAB4 formula, were 57% less likely to develop allergic eczema and other allergies such as asthma, than those placebo. Studies have found that pomegranate juice consumption plays a role in the treatment of type 2 diabetes. A Journal of Food Science study finds that pomegranate extracts could reduce sugar in the bloodstream after meals. Adam Pritchard, CEO of Pomegreat UK juice manufacturer, has developed a new juice formulation in partnership with the Independent Diabetes Trust. The drink is endorsed by the trust and uses a natural fruit extract to take the place of sugars. Pomegranate juice’s effect on type 2 diabetes stems from its ability to reduce oxidative stress and lipid peroxidation and to reduce fasting blood glucose levels. A Tel Aviv University Researcher says that a high-energy breakfast and modest dinner can control dangerous blood sugar spikes all day. The study was conducted on eight men and 10 women aged between 30-37 with type 2 diabetes. Patients were randomized and assigned either a ‘B diet’ or a ‘D diet’ for one week. The B diet features a 2946 kilojoule (kj) breakfast, 2523kj lunch and 858kj dinner. The D diet featured a 858kj breakfast, 2523kj lunch and 2946kj dinner. Both diets contained the same total energy in kilojoules. Patients consumed their diets for six days. On the seventh day, they had blood samples collected before breakfast and regularly throughout the day. The results showed that blood-glucose levels rose 23% less after the lunch preceded by the large breakfast. Come to the beautiful Greek island of Paros for your Yoga Teacher training this June. Each day will consist of a flowing rhythm of practice and learning, deep exploration through Transformational Hatha, Yin and Vinyasa, Pranayama, mantra and meditation sessions, chakra work, healing, connecting with self and collective consciousness. There will be delicious locally sourced vegetarian meals and time and space for relaxing, reading and walks in nature. There will be dynamic meditations including dance and movement and individual and group sharing. Science Gallery London is launching its very first open call for content and they are hungry for your ideas for installations, events and activities for their FOOD season taking place later in 2015. Are you an expert on the increasing importance of insects in our kitchens? Have you been working on turning fermentation into an art form? Are you adept at crafting multi-sensory dinners that taste like Iceland’s volcanoes? Have you been thinking creatively about Gandhi’s research on nutrition, or do you want to make medicinal ice cream out of the local herb gardens. Estimated exposure to dioxins through dietary intake is not associated with an increased risk of developing a breast cancer among low exposed women, according to a large cohort study published in open access journal Breast Cancer Research. This contradicts a popular belief held by many about the effect of dioxins. The study looked at frequency of consumption and portion size for 208 food items. Their dietary exposure to dioxins was then estimated by combining the records on the women’s consumption, with data on the level of dioxin contamination in food. Wi-fi routers and mobile phone base stations are powerful transmitters of radio frequency radiation that can affect the health of you and your family. The wi-fiDOT from Phi Harmonics is programmed to harmonize these frequencies to be more compatible with the natural environment, thereby reducing those potentially damaging toxic effects. Studies have shown that the health benefits of using wi-fiDOT include deeper sleep, reduced stress and a feeling of overall well-being. Kaizen Living is a new organic superfoods company launched at the Eat Well Show in London founded on the principles of Kaizen, meaning continual improvement. Kaizen Living’s 100% pure, additive-free, nutrient and vitamin–rich superfoods chia seeds, acai, spirulina, cacao, chlorella, barleygrass and wheatgrass are available to buy in powder or tablet form, in eye-catching, easy-to-use pouches, making them perfect for fitting in with hectic lifestyles. Rob Lee, or Superfood Bobby to his friends (and even his Mum), has travelled the earth is search of the finest quality superfoods and having discovered discrepancies between quality and price for superfoods, Rob wanted to offer the best quality at great prices and so launched Kaizen Living. Eating oily fish is known to keep your heart health; but scientists have found it can also mend a damaged heart. A study has shown that diets high in omega-3 fatty acids, can fix faulty blood vessels faster. Researchers gave small amounts of fish oil to volunteers of mixed ages with mild cardiovascular risk, testing for two markers of cardiovascular disease. The oil showed positive effects for both markers by the end of the 8-week period. Perfect7 formula provides nutrients to the body’s cells to support the body from inside as it ages. Perfect7 contains 1000 mg of omega-3 (DHA and EPA) fish oils to support maintenance of normal heart function. Charlotte Nial of Cranwell House Skin Clinic and Medispa in Essex provides tips for glowing health: using the correct homecare products is very important to maintain good skin health, invest in a good skin care range, not cosmetic products full of preservatives, oil and fragrance which irritate and clog the skin, daily cleansing is important, use Vitamin C topically as well as orally to erase signs of ageing, including fine lines and wrinkles. She also advocates drinking plenty of water and having a healthy diet. Cranwell House specializes in skincare, laser and cosmetic procedures and offers beauty and wellness therapies in a spa environment. Kirsty Gallagher is a dynamic teacher whose primary focus is on restorative and healthy retreats. Kirsty is a regular contributor on the subject of female energy, Ayurveda and Yoga. Kirsty recommends some favourite Yoga poses to help you listen to your heart’s calling and invite more love into your life. Ustrasana (Camel pose) is one of the best poses to help you open your heart. Pranayama (breathing) into the heart-full yogic breathing helps you feel whole and complete. Abhaya Hridaya Mudra (courageous Heart mudra) helps you to let go of fear and doubt and live from a fearless heart. Affirmations for opening your heart: repeat a phrase over and over again, allowing its meaning to seep into your subconscious and shift negative habits and patterns into positive ones. Post-traumatic stress disorder (PTSD) affects nearly 20% of post-9/11 veterans; one fourth of US soldiers have already experienced a mental health issue before their deployment, which only increases the risk of returning with PTSD. A recent study in which 33 male combat veterans were asked to participate measured the effects of using biofeedback over an 8-week period to help control their PTSD. The study demonstrates a success rate among the participants, who use heart rate variability biofeedback as a tool, coupled with group support sessions. Further research is necessary to put these ideas into everyday, practical applications, not just for PTSD, but for other mental health disorders. Tens of millions of people suffer with chronic pain and depression in the United States alone. Dr Gary Kaplan, Founder and Medical Director of the Kaplan Center for Integrative Medicine’s book Total Recovery: Solving the Mystery of Chronic Pain and Nutrition explains that his strategy has always been to treat the whole person, not the symptoms. In a one-of-a-kind and potentially life-changing interview, Dr Kaplan will share his research and discuss how this new understanding of chronic pain and depression offers hope. He will tell what you can do for yourself and explain his unique integrated approach to health care. He advocates an anti-inflammatory diet, the roles exercise, meditation and acupuncture and how some of the most common medications used to treat chronic pain can actually make it worse. The majority of people today suffer from over acidity of the body fluids, which make up to 70% of body weight. Acidic cells lose their flexibility. In the case of red blood cells for example, loss of flexibility inhibits elasticity and adaptability of the cells, thus impeding blood flow. AlkaHerb® herbal tea contains 49 herbs, seeds, roots, fruits and flowers, as well as plenty of trace elements and minerals. Many wild herbs are used in the mixture. AlkaBath® Bath Salts stimulates the skin’s natural oils and at the same time cleanses the skin, making it supple. We all know the frustrating feeling of those, hopefully few and far between, nights when we lie in bed tossing and turning as we struggle to get to sleep. Nelsons give tips to relieve the symptoms of a sleepless night. Get at least 30 minutes of natural light each day. Try not to look at screens for 1 hour before bed. Have a bedtime routine. Create a comfortable sleeping environment with comfortable bed, quietness and darkness. Try Nelson’s Noctura, a homeopathic product which aids a restful night’s sleep. Don’t eat a heavy meal before bed. Try not to have too much caffeine. Try stretching and meditation 15 minutes before bed. Take a notebook to bed with you; if thoughts interrupt your sleep, write them down so they are not running through your mind. SC Skincare facial oils are packed full of vitamins, antioxidants and essential fatty acids, the building blocks of skin cells, strengthening collagen and elastin for smooth, supple and radiant skin. If you are over 45 years old, Ylang Ylang Facial Oil is perfect for you. Mimicking the skin’s natural sebum, our facial oils penetrate deeply, nourishing right down to the deepest layers of your skin. Dry skin types would benefit from Rose de Mai Facial Oil. SC Skincare Facial Oils do not block pores and are not greasy. If you have oily or acne prone skin, opt for Fresh Mandarin or Palmarosa Leaf Facial Oils. Both are fantastic for reducing oiliness, redness and breakouts. How to Get a Good Job After 50 by Rupert French, is a step-by-step guide to finding and winning the sort of job most likely to give job satisfaction and success. It sets out how older workers are often valued in the workplace because of their experience, skills, reliability and sense of responsibility, before going on to show how to demonstrate these qualities to prospective employers. The book encourages people to adopt a pro-active, ‘self-employed’ approach, building self-esteem and promoting a time-efficient, self-managed job search programme.